The Congress speakers are recognized international professionals and leading Bulgarian experts in the field. 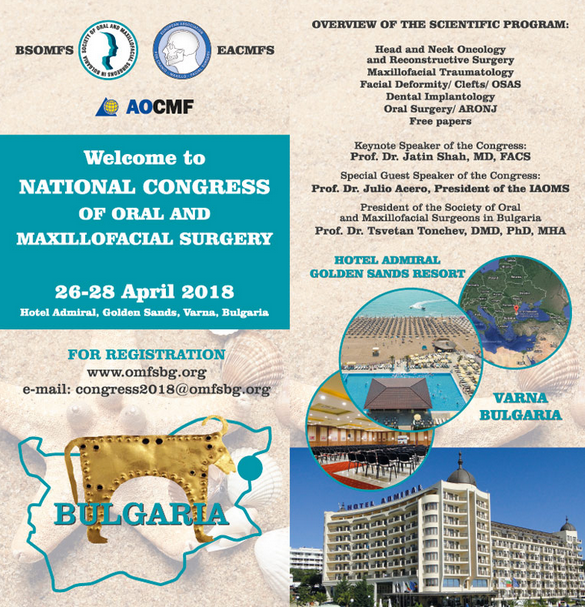 We will enjoy the great honor to have as keynote speakers of the event Professor Dr. Julio Acero, President of the International Association of Oral and Maxillofacial Surgery (IAOMS) and the world-renowned American specialist in the field of surgical treatment of benign and malignant tumors in the head and neck area Professor Dr. Jatin Shah. The organizers expect a broad professional audience of nearly 150 participants. We expect your active participation, which will contribute to the organization of a fruitful and valuable forum – an arena for the exchange of knowledge, experience and innovative ideas. Please confirm your participation until 31 March 2018 through online registration.